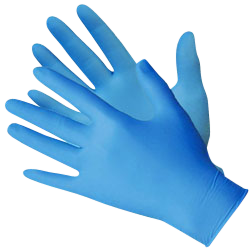 CWC offers nitrile powdered gloves. Light-duty protection with maximum dexterity, latex-free gloves feature textured fingertips for enhanced grip and beaded cuffs. 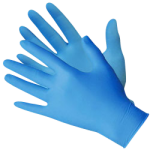 These ambidextrous chemical resistant gloves are powdered for easy on and off. Ideal for use in automotive, janitorial, general maintenance, manufacturing and food processing applications.